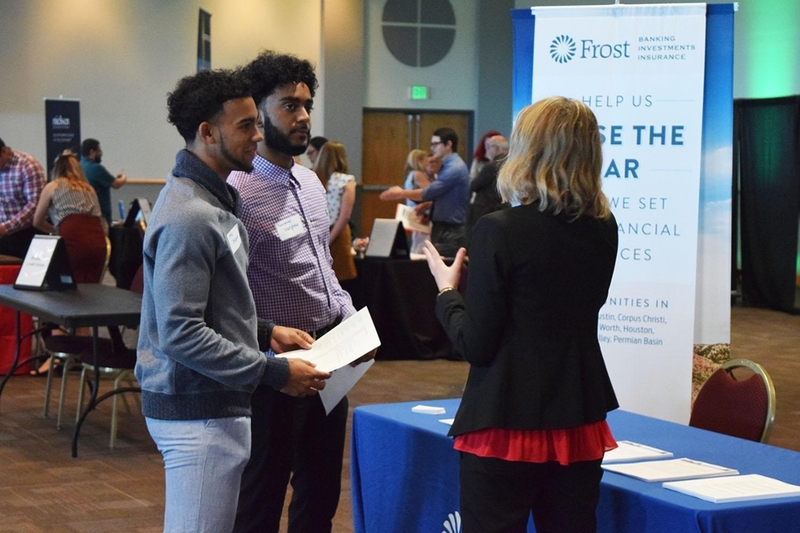 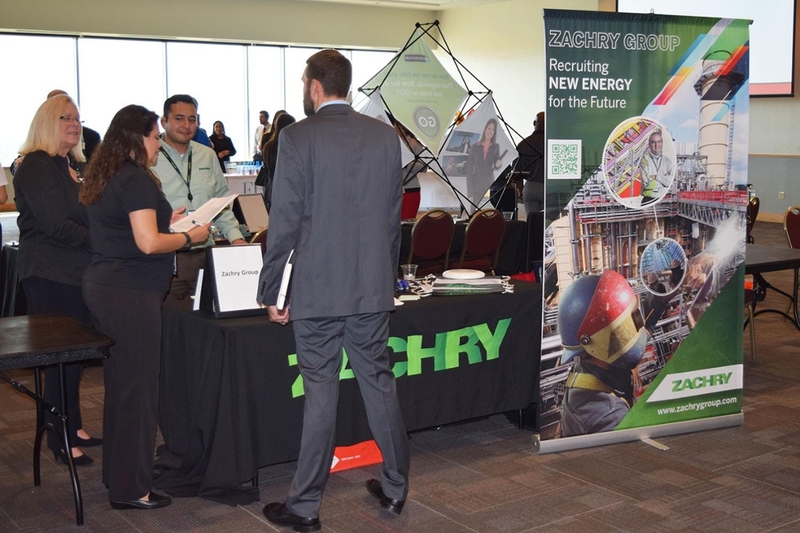 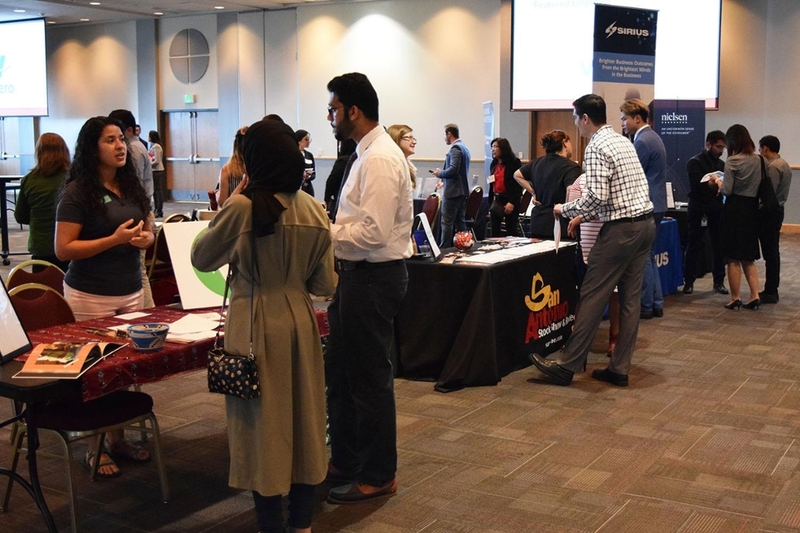 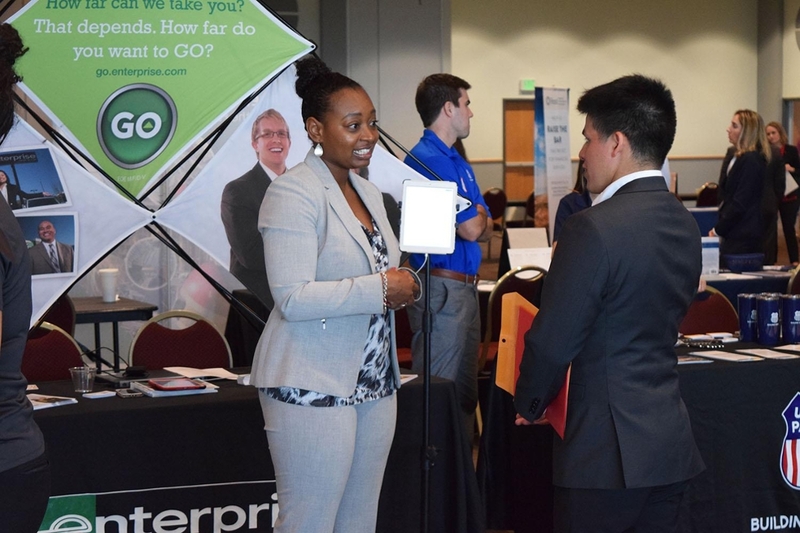 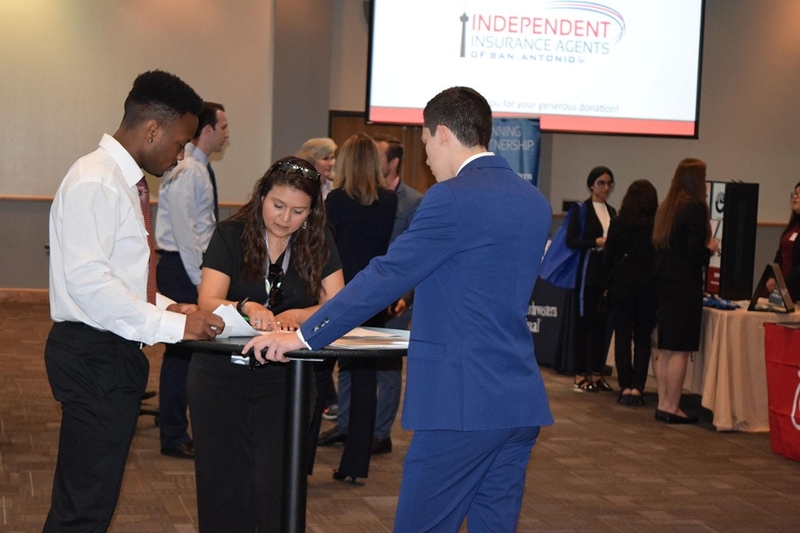 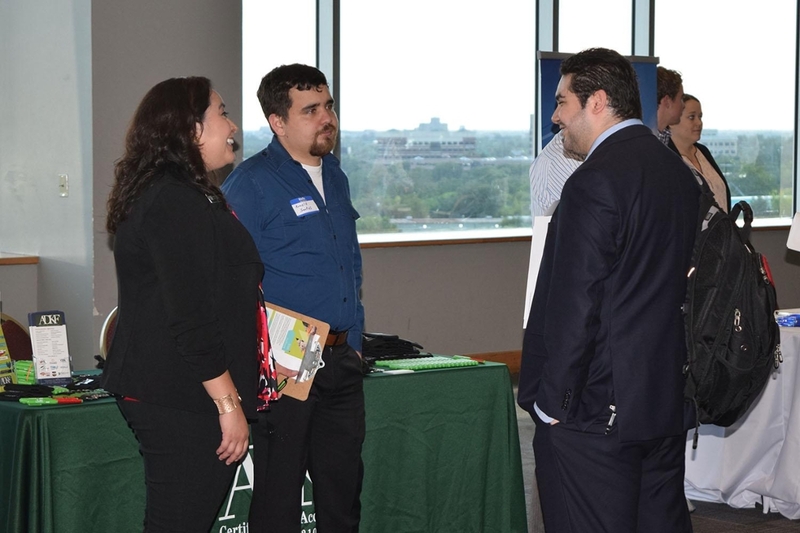 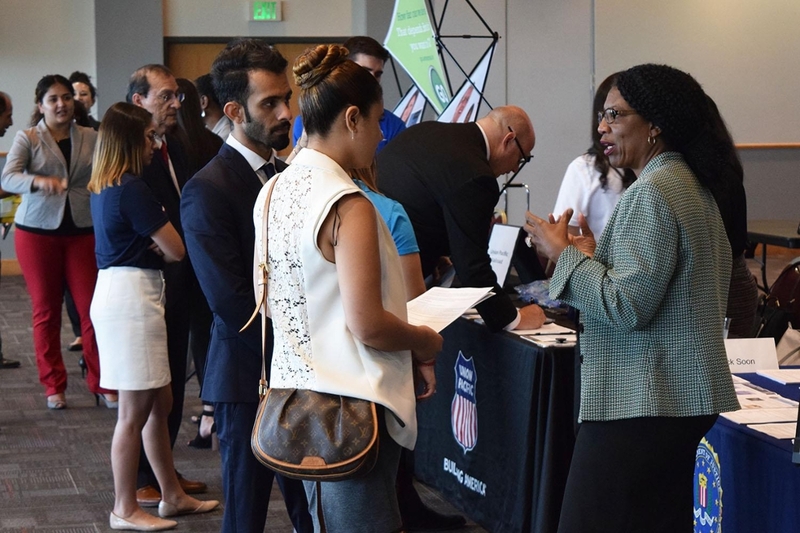 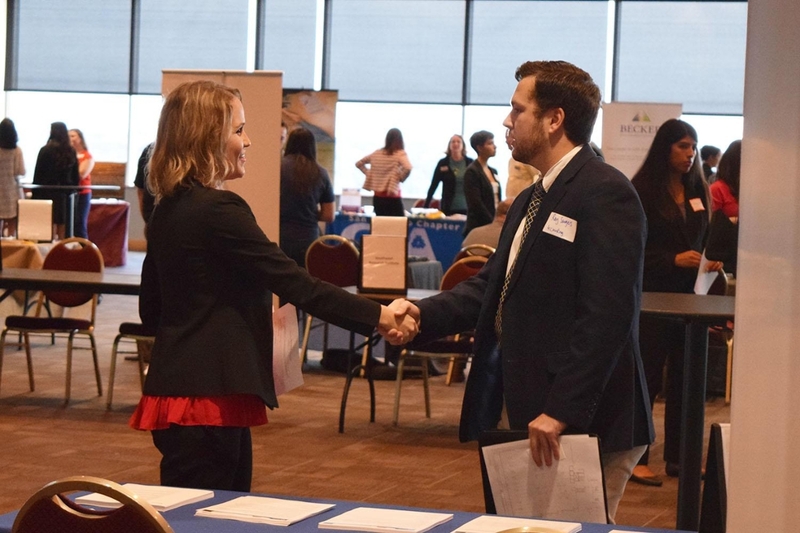 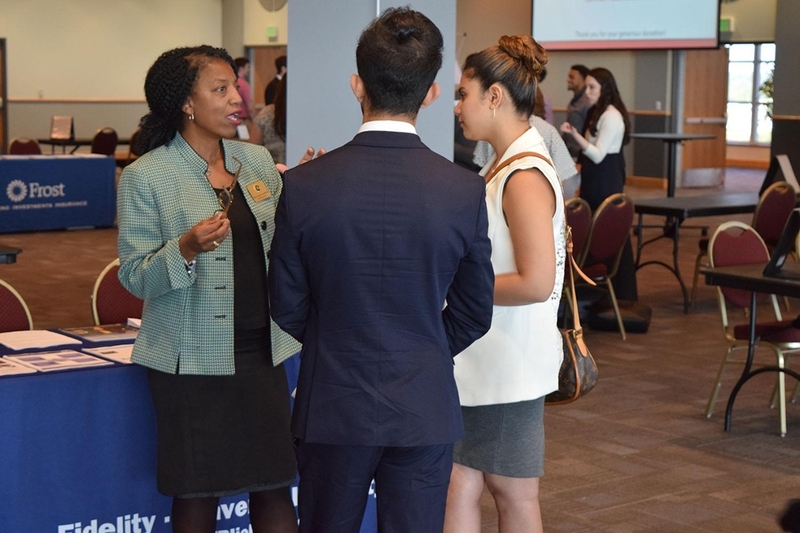 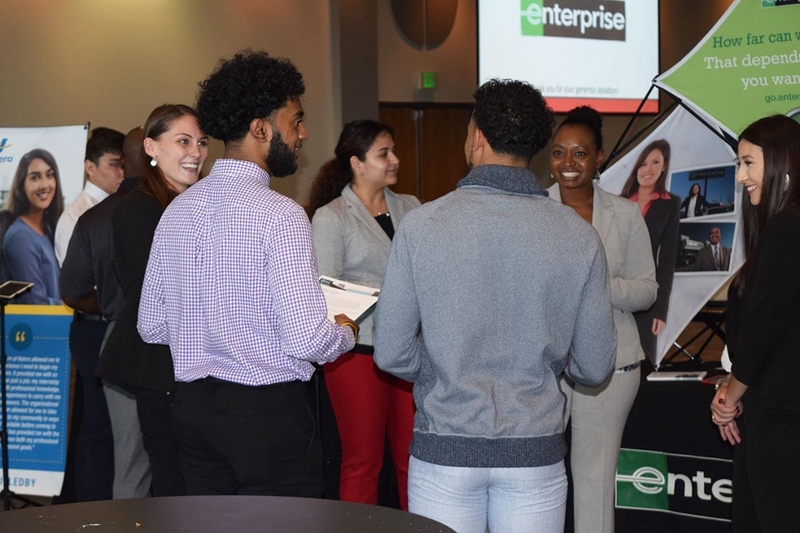 SAN ANTONIO – Students and employers gathered Wednesday, Sept. 26, 2018, in the Rosenberg Skyroom for a Career Fair and Networking Reception hosted by the H-E-B School of Business, the Accounting Society, the Business Club and Career Services. 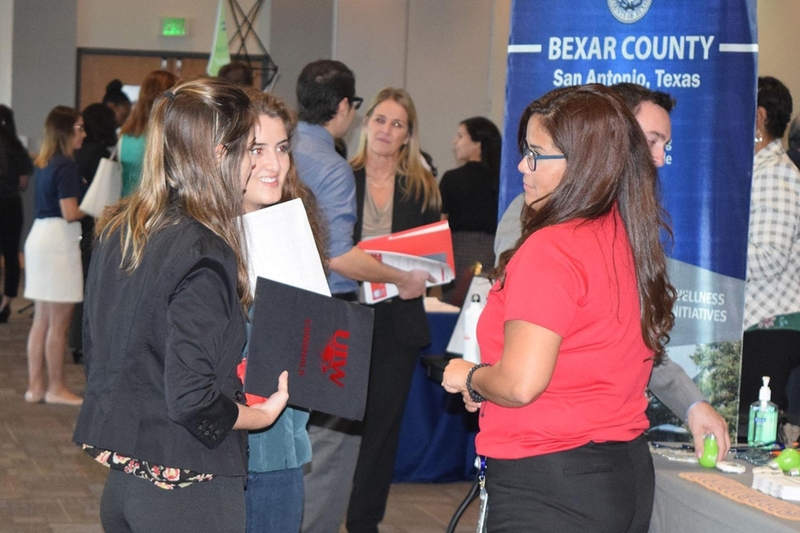 Twelve of the employers in attendance sent representatives to the event who are current or former H-E-B School of Business students. 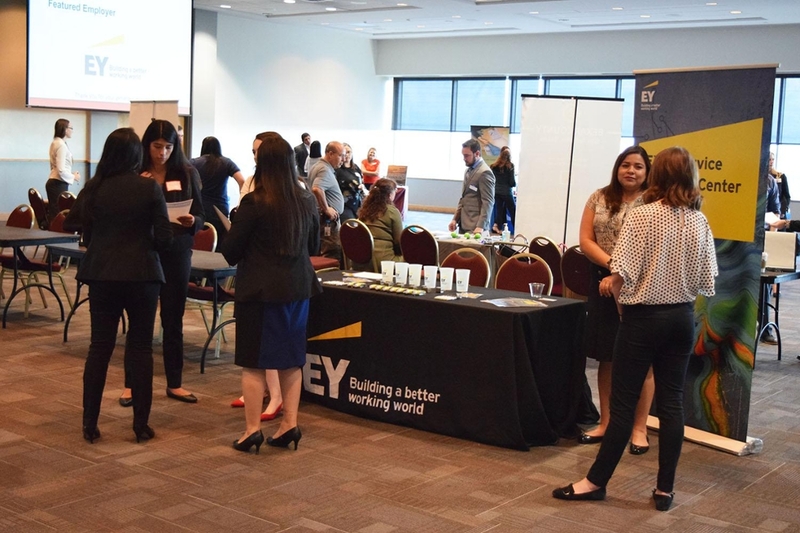 “This event was a great opportunity for our students to network with future employers and build their personal skills. 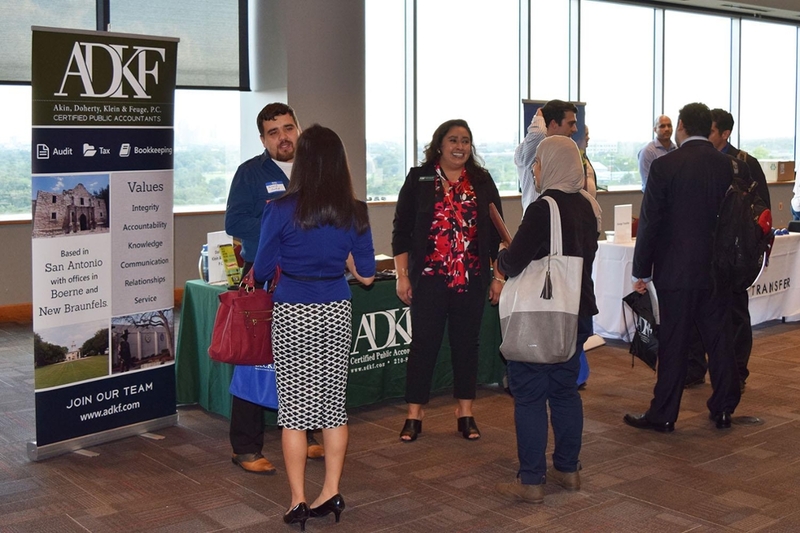 The networking event enabled freshman to build their confidence in speaking with firm representatives, opened doors for soon-to-be graduates, and allowed all students access to some very successful companies in the San Antonio region,” said Dr. Trish Driskill, event organizer and faculty advisor to the Accounting Society. 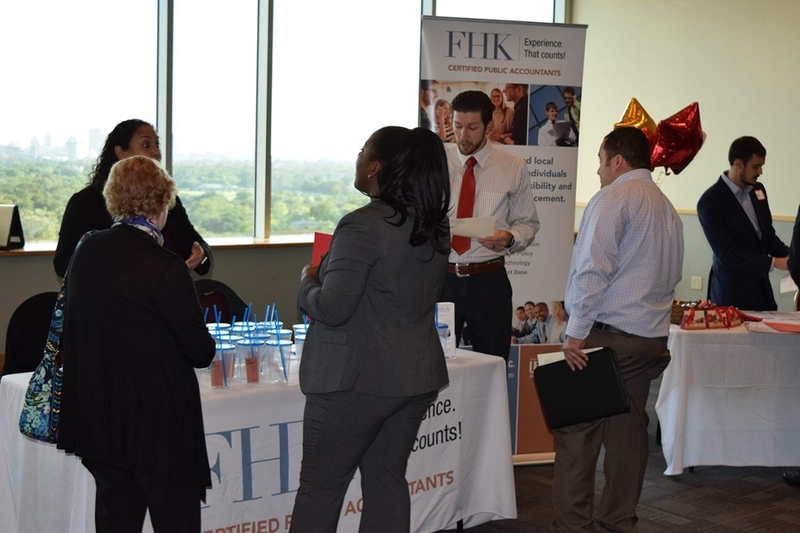 Click through the slideshow below for highlights from the event.